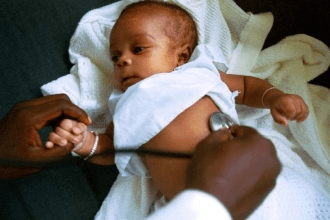 According to Sierra Leone News Agency, the director of the country’s reproductive and child health programme in the ministry of health and sanitation – Dr. Santigie Sesay, has confirmed the fears of most people. Sesay said that the Ebola outbreak has had an adverse impact on the education of teenage girls, as a result of school closure and other factors. Dr. Sesay was addressing a consultative meeting on the impact of Ebola on teenage girls. Participants included stakeholders drawn from education, social welfare, local government, UNFPA, teachers and pupils from pilot secondary schools. 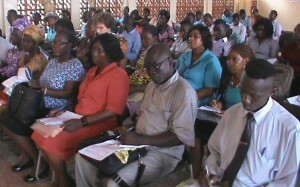 The meeting was organized by the National Secretariat for the Reduction of Teenage Pregnancy in Sierra Leone. Dr. Sesay also told delegates that the Ebola virus disease has had a negative impact on those accessing health facilities, because of fear, misconceptions and rumours. Health workers, including doctors and nurses lost their lives, adding that institutional delivery was also a problem, resulting in many women giving birth at home. Speaking about public health issues, Dr. Sesay reiterated the importance of infection prevention. He noted that most of the deaths related to diseases such as Ebola, could be prevented. He encouraged adolescent and teenage girls to take necessary precautionary measures against early marriage, teenage pregnancy and illegal abortion that could lead to death or serious complications. The stakeholder event was aimed at updating stakeholders on key activities of programme intervention, and to develop community engagement work plans to address problems identified and contributions required by the Secretariat. The National Coordinator of the Secretariat for the Reduction of Teenage Pregnancy – Rugiatu Kanu, spoke about the deep rooted causes of teenage pregnancy in Sierra Leone and its impact on the individual, family and communities. Gender Affairs Director in the Ministry of Social Welfare – Mr. Charles Vandi , expressed optimism in reducing teenage pregnancy in the country. He said that the Sexual Offences Act championed by the Social Welfare Ministry, states that nobody should involve in sexual activity with a girl below 18 years, and warned against such illegal behaviour. Mr. Vandi also spoke about the collaborative research taking place in those districts with a high incidence of teenage pregnancy, including Kabala. This research work involves Plan Sierra Leone, Oxfam, the Health and Sanitation Ministry, UNFPA and the Ministry of Education, Science and Technology, and is aimed at helping to combat this problem. He reiterated the need for traditional birth attendants to work with trained nurses located in peripheral health units across the country, in order to avert complications and deaths that are prevalent in home delivery.